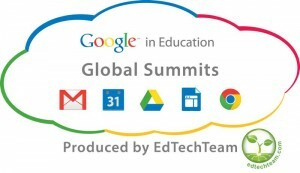 On January 31, I attended the first day of the Google Apps for Education (GAFE) Summit in Atlanta. To say, I was excited could be seen as a slight understatement. I was excited to a specific nerd level only seen at video game release. (Okay. Maybe not that level, but still…) This summit was a way to learn great tips, tricks, and information dealing with GAFE. It was definitely a full day that provided the attendees the opportunity to become “mini-experts” for their schools. I will explore a little of what I experienced at the #gafesummit. The day opened up with a keynote from James Sanders, a man with many hats who has been a teacher, a White House fellow, founder of Future Ready Schools, etc. The list goes on and on. His talk, “Resume Full of Failure- Getting to Future Ready,” was an exploration of his ups and downs in the education world that lead him to Future Ready Schools. Let me just say that he was a funny and inspiring teacher. He compared his experiences to the dung beetle- Mistakes in life (dung) sustains us and has us look back at what doesn’t work. He discussed his ups like being the first teacher to use the Chromebook prototypes, different technology-based student assignments and projects, and becoming a White House fellow and creating the Student Film Festival. He also discussed his downs like failed side ventures, students not using accounts like YouTube correctly, Future Ready Schools not launching as well the first time, etc. All of these helped him become the teacher that he is today. The biggest takeaway from the keynote was to take risks. Do something new everyday because the small risks add up and helps know what does and doesn’t work. This session was great for those who were interested in using Google+ more with students and co-workers. Google+ is a social networking tool that allows user to connect with others that share common interests as well as only share updates, photos, etc. with those that you want. Presenter Chris Moore showed attendees how to set up their profiles, different important functions like disabling comments, auto backups, setting up circles, and more. After this session, I felt that Google+ had more to offer than previously. This may be my favorite find of the day. The Google Cultural institute is probably the best kept secret, and I won’t spend long on it here since I am so fascinated that I will spend a whole article on just this. The Google Cultural Institute allows users to explore history, art, and the world around them in new ways. The goal is to preserve and promote culture online and make material available to those who may not have been able to access it before. This free resource offers many gems as well as the ability to create your own galleries and resources to use in the classroom. Just in the brief time I explored it, I found the gallery “70 Stories of Auschwitz” that I plan on using in my World Literature class next week. This gallery focuses on survivor interviews and would allow my students to compare their stories to that of Elie Wiesel’s in Night, a book they are finishing this week. There is more to offer than I can explain here so look for the stand alone article soon. There is so much information here that I have decided to split my day into two articles. For the last two sessions, I attended look for Part 2 of this article.